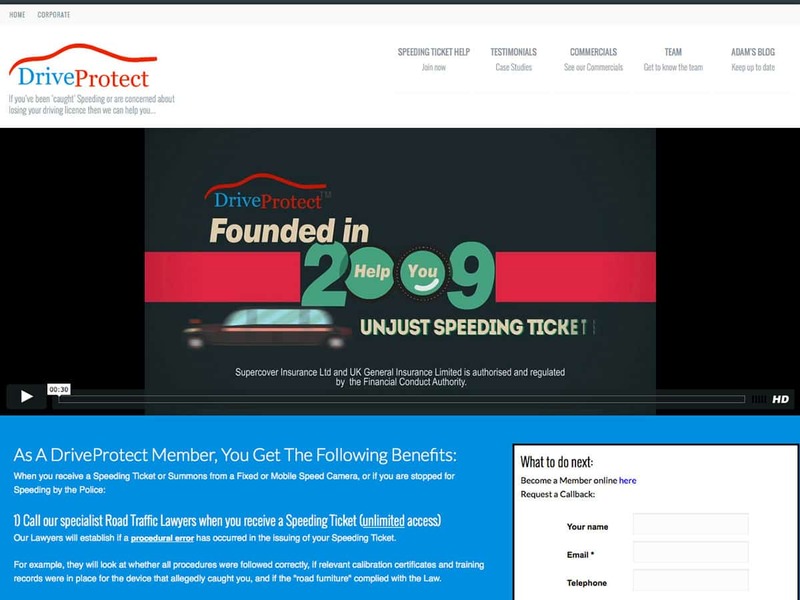 Drive Protect is a monthly subscription service offering legal advice in the event that a member receives a speeding ticket. There was an existing website built in HTML/CSS which we re-skinned and improved the code of. It is now a fully responsive HTML5/CSS3 website. There was also several membership forms which were limiting and a little confusing, we merged these into one form and improved the styling. The membership process is now almost completely automated greatly improving efficiency. For this website we also took over management of PPC and managed to reduce the costs to a tenth of what they were whilst increasing conversions. We continue to maintain this website and the PPC account.